Because many pipes may be located behind walls, some leaks can be more difficult to detect. Maintaining a commercial building in Sumner, WA can be a challenge. Over time, you may encounter a variety of potentially serious maintenance issues. Aging infrastructure, environmental factors and improper waste disposal can, for example, damage water and sewage lines, resulting in destructive leaks. Recognizing three common commercial plumbing concerns can help you take proactive steps to safeguard your property from leaking pipes and other problematic scenarios. Depending on the nature of your business, toilets inside your facility may be used frequently. Continuous usage can deteriorate internal components, resulting in flushing malfunctions and leaks. To combat this, you should routinely inspect your building’s commodes and promptly complete necessary repairs. A clog can also cause a toilet backup, which may require a thorough water and sewage cleanup. Ensuring trash, such as pads, tampons and paper towels, are thrown into trash cans instead of flushed can help prevent serious obstructions and unsanitary overflows. Leaking pipes may be another serious concern. Completing routine maintenance on your building’s HVAC and fire suppression systems can reduce the risk of extensive water seepage. Avoiding the use of chemical drain cleaners can also safeguard your plumbing lines from extensive warping and corrosion. Because many pipes may be located behind walls, some leaks can be more difficult to detect. Warped flooring, stained ceilings and damp walls are symptoms of a hidden leak that should be promptly investigated and addressed. Frigid temperatures can also negatively affect plumbing structures. 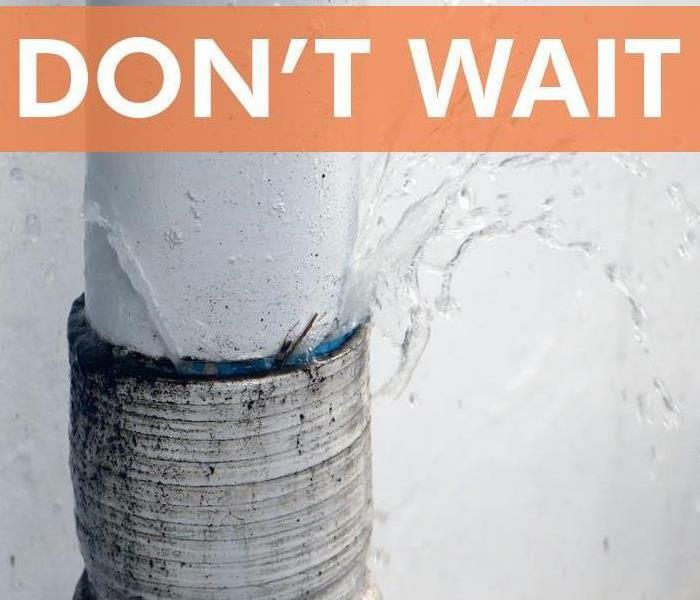 Water can freeze inside exposed lines, particularly those near external walls, increasing the risk of a pipe break and potentially extensive water damage. To safeguard your property, you should insulate vulnerable pipes and circulate warm air in cooler regions of your building. Significant water seepage can hinder business operations, resulting in downtime and lost revenue. Understanding your risks can help you develop strategies to maintain crucial plumbing lines and avert leaking pipes and toilet backups, safeguarding your financial investment and the property’s structural integrity. Finding the right restoration company after a business has been affected by a fire is often important. Finding the right restoration company in Puyallup, WA after a business has been affected by a fire is often important. An insurance adjuster and agent are likely to look for certain qualities in a fire damage restoration company. After a fire occurs, insurance agents and adjusters know that it’s often wise for the damaged building to be protected from outside elements and from trespassers. Board-up services are a used way to keep a building safe after a fire. Though many restoration companies offer a variety of services to protect a building, insurance agents and adjusters are likely to choose a vendor that can implement protective measurements quickly. Though soot and smoke damage are common after a fire occurs, water damage is also common after a fire, and an insurance adjuster will search for a restoration company that can handle both fire and water damage. Generally, water damage is the result of water from sprinklers or water from a hose, though flooding is also more likely to occur after a fire if plant life around a building is eliminated. In addition to likely decreasing the amount of time a restoration will take, mitigation efforts can also help to decrease the cost of an insurance claim. One of the most important steps in the restoration process after a fire includes cleaning and sanitizing the affected business. However, smaller restoration companies may not have access to the latest technology that allows for the best removal of smoke and soot. A local SERVPRO franchise is often employed because the company can access tools and equipment from the corporation and can also respond immediately after a fire due to being local. An insurance adjuster and agent can assist in finding the right restoration company for businesses with fire damage. Often, adjusters will look for a vendor that can protect the damaged business, mitigate further damage and sanitize a business thoroughly. If your home experiences a water leak, it’s important to address the situation quickly and safely. If your home in Fairfax, WA experiences a water leak, it’s important to address the situation quickly and safely. Unfortunately, oftentimes the first sign of a leak is ceiling damage or water in light fixtures, which can be extremely dangerous if not handled the right way. Fortunately, there are steps you can take to ensure you resolve the situation smoothly. Although it might seem counterintuitive, it’s more dangerous for you to flip the switch to a light fixture full of water than it is to leave the light on. Water conducts electricity, which means an electrical charge can travel through the liquid to shock whatever it touches. Find your home’s breaker box and turn off the electricity right away. If you have a non-contact voltage tester, you can use dry electrical sources in your home to verify that the electricity is off. To play it safe, avoid contact with any electrical sources in your home, even if you’re eager to get the water in light fixtures out. If the leak is the result of a burst pipe, shut off your home’s main water supply to avoid further water damage to your ceiling. Place containers beneath bulges in the ceiling to prevent water damage to your floor and possessions, and contact a plumber to fix the pipe before restoring water to your home. 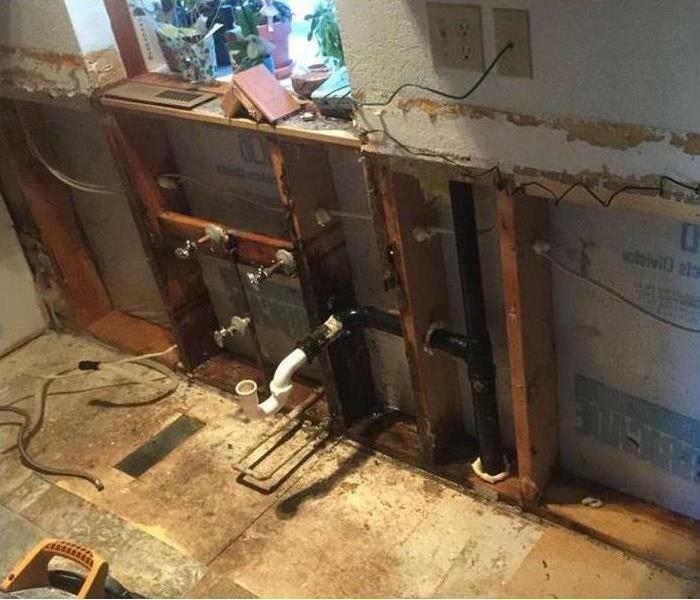 Even after following the above steps, the aftermath of a water leak can still be dangerous. Not only is there still a risk of shock, homes with water damage are more at risk of ceiling collapse, fire due to corroded wires, and mold. The best way to handle the impact of a leak is to call in a water restoration specialist who will know what dangers to look out for while providing water damage cleaning to your home. A water leak can be a tricky situation, especially if there is water in light fixtures. Follow a few simple steps, and it can make a big difference in the impact a leak has on your home. A mold specialist has the knowledge and expertise to help you identify what the problem is. Mold removal is a careful and efficient process. By removing all growth spores and restoring the parts of your home that were contaminated, you can feel confident in a mold-free home. When you first find mildew in your home, it’s best to create an action plan to prevent the fungi from spreading to other parts of your house. Here are three steps you can take to get started on the process. These areas are often warm and humid, which is the perfect environment for fungi. If you notice any strange odors, weird spots, or bulges, you are likely dealing with mold. Keep an eye on these areas. Sometimes mold problems are much bigger than they seem because spores can spread underneath floorboards, walls, and ceilings. A mold specialist has the knowledge and expertise to help you identify what the problem is. Once the root and extent of the issue are discovered, the professional can give you valuable advice and aid concerning what to do next. Once the mold is identified, the remediation process should begin as quickly as possible. Mold can spread in as little as 48 hours; however, you can take extra measures to contain the growth. You might be dealing with extensive black mold removal or other types of fungi remediation, but the process can go smoothly and quickly. Once the restoration process is complete, your home can look and smell mold-free. Mold removal isn’t a difficult process, and you can receive professional aid every step of the way. Before you know it, residential mold will no longer be an issue you deal with. 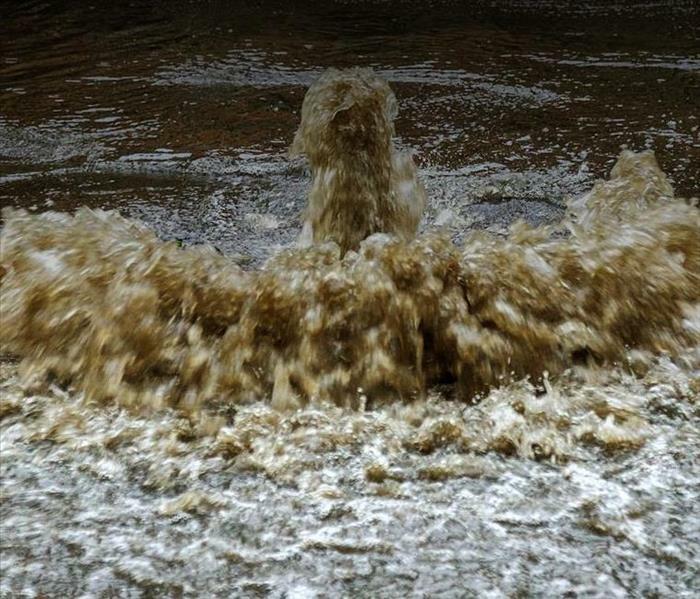 Why Does Sewer Backup Occur During Heavy Rains? When heavy rain water comes to town, a lot of it makes its way into the sewer system of Puyallup, WA. As a result of poor upkeep or inferior drainage systems, the water accumulates pieces of sewage and makes its way into buildings. 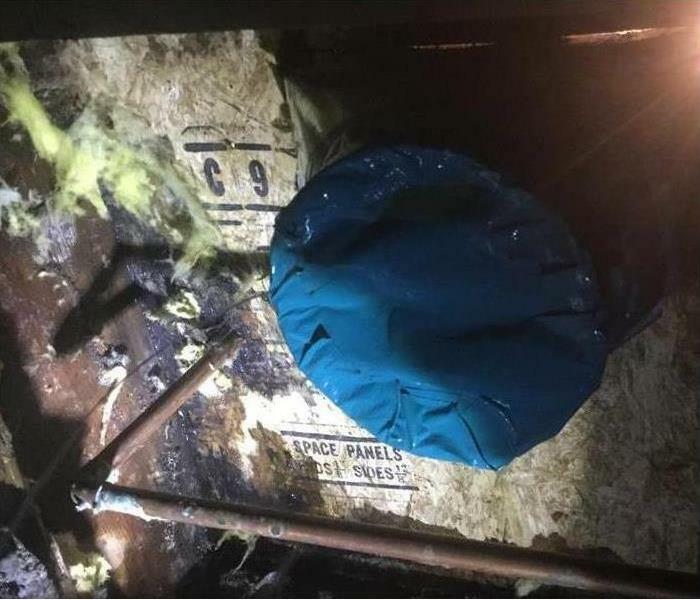 This is known as sewer backup and presents an extremely dangerous situation because black water can enter a building and pose various problems for the people within. Sewers can only handle so much. This is particularly true in areas where sewage maintenance has fallen to the wayside. Depending on the direction in which sewage needs to flow, the pipes may not be capable of adequately flowing the liquid. 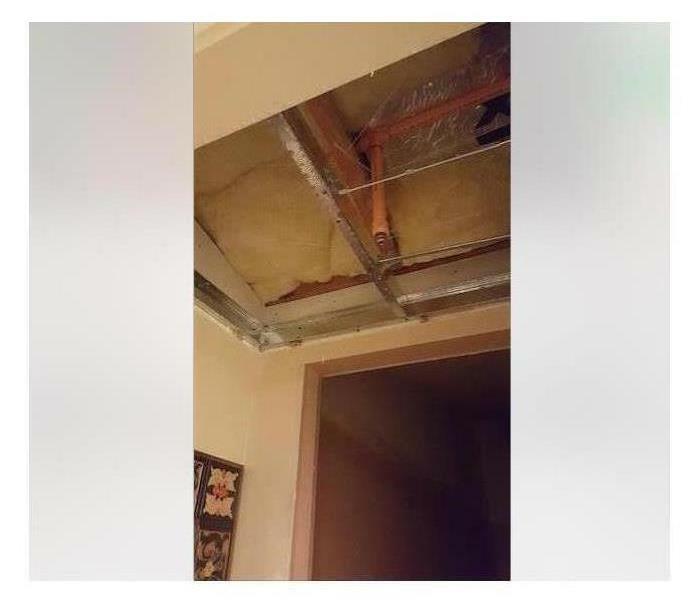 It needs to go somewhere, so it flows upward into the nearest exit, which, in some cases, is a drainage pipe inside your building. Another reason why sewage water will back up into commercial buildings in Puyallup, WA is obstructions in the sewer system. Tree roots can grow at an excessive rate, causing cracks and breakages in the sewer line. Additionally, sewer systems are only meant for certain types of waste. If too many solid objects get in the system, then it can completely block off an entire section of the sewer. Instead of the water flowing through the sewer, it has to flow out of the nearest exit. Visit http://www.SERVPROpuyallupsumner.com for more information on water damage. Any appliances that have water coming into them or going out of them, have the potential to cause water damage. It is not just burst pipes, flooding, and storms that can cause water damage to your home; faulty appliances also have the potential to cause significant problems. Dishwashers, washing machines, water heaters and refrigerators are some of the usual culprits in the home. However, there are measures you can take to significantly reduce the risk of them leaking and causing water damage to your property. One of the most common causes of appliances causing water damage is the failure, damage or blockage of hoses. Both dishwashers and washing machines have hoses connected to them as they are water-drawing appliances. It is important to check the hoses regularly for degrading, cracks or blockages before further problems are caused. Realistically, hoses need replacing every three years. 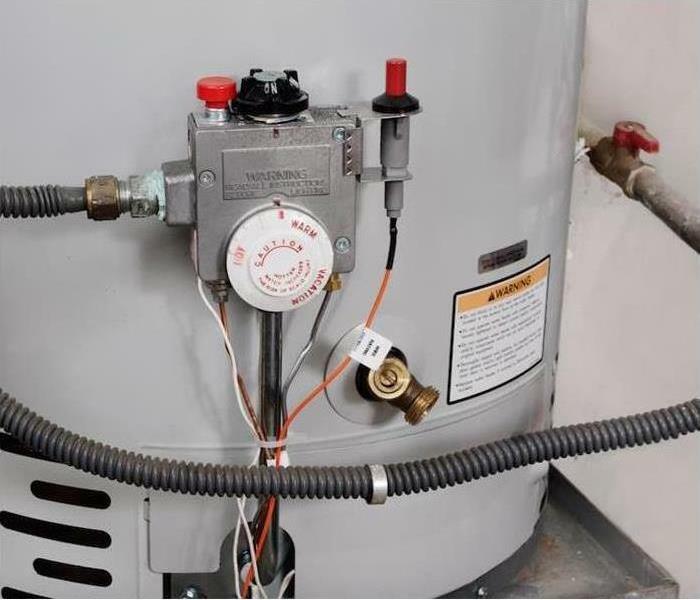 You should make sure that everyone in the house knows where the main water valve and the water valves for each appliance are located. If a leak does occur, it can be dealt with swiftly by turning off the water. It is also important to check that the valves open and close correctly. SERVPRO® is often called out by people who have just returned home to find a flood or leak after a vacation or weekend away. A preventative measure you can take is to turn off the valves before you leave home. Depending on the appliance, a piece of equipment may have drains, pumps or filters. Each of these components may become blocked with debris over time, and this will disrupt or prevent the flow of water. In turn, this can result in leakages or the appliance may stop working altogether. Check for blockages and debris at least twice a year to keep these parts clear. There are some occasions when you will not be able to rectify a problem, and it is important you know when you need to call a professional rather than attempt to resolve an issue yourself. If your appliance has a warranty, then a qualified engineer will come to identify any problems and either fix or replace the parts as necessary. It is well worth considering an extended warranty, so your appliance is covered for longer. Having faults repaired quickly will minimize the chances of needing to use our services at SERVPRO® to tackle water damage. Although these tips reduce the risk of problems with household appliances, there is still the possibility of a fault or leak occurring that results in water damage to your home. Call SERVPRO of Puyallup / Sumner for your restoration needs. Words can’t describe the terror a person feels as a fire takes over his or her home. There is little a homeowner can do in this desperate, terrible moment. Once fire crews get the fire under control and put it out, you must compose yourself and enlist the services of a fire restoration company. As hopeless as you may feel, the best companies have the knowledge and equipment to repair and restoration the affected area and get things as close as possible to normal for you once again. Inspect the home for damage and develop a detailed plan for repair and rebuild. Tear out areas of your home that the crews can’t salvage. Clean and sanitize affected areas and items. Restore and replace those areas and items that crews couldn’t clean and save. One of the many advantages of using SERVPRO and its fire rebuild services is that the team can handle all of your after-fire needs. There’s no reason to call multiple companies to each handle a task. SERVPRO will do the inspection and all the dirty work afterward. This approach will save you time and hassle. It will also help ensure that the insurance claim process goes smoothly and more efficiently. Because SERVPRO has experience in rebuilding services, you can trust the professionals to make the right choices for your restoration needs. The team will assess whether cleaning and cleanup is sufficient or whether an entire rebuild is necessary. Don’t chance the vital fire restoration process to just anyone. Call SERVPRO to take care of all these needs. 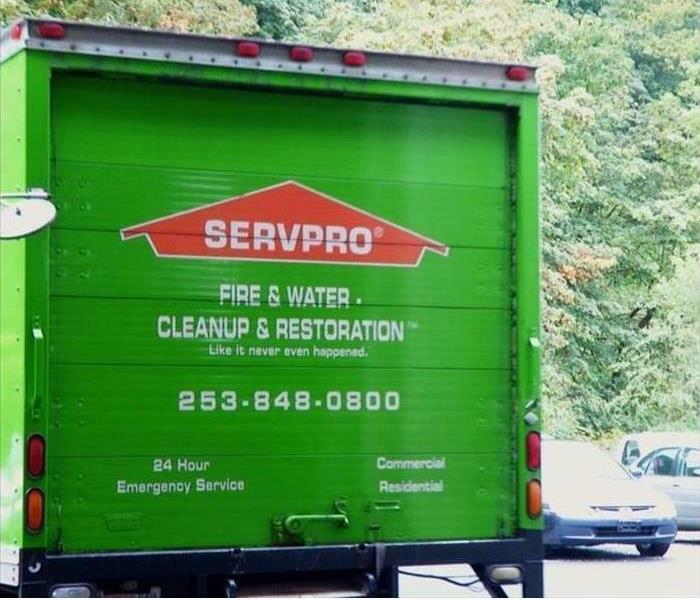 SERVPRO® of Puyallup/Sumner takes the stress out of fire damage to your property. For a fire department to successfully battle and control an inferno or a small fire, they are trained to identify the different types of fires. Yes, fires have classifications based on what is fueling them. Different fires require unique solutions for cleanup and restoration. SERVPRO® of Puyallup/Sumner knows and understands how to work with fire damages, which can often be restored by our professional, IICRC certified technicians. We can handle the aftermath of residential and commercial fires. We specialize in fire and water damage cleanup. With our restoration experience, we can quickly restore your home or business to a pre-fire condition. "Like it never even happened." Class A: wood, paper or trash, anything that leaves ash. Water can extinguish this fire. Type A fire extinguisher. Class B: oil, gas or flammable liquids. Smothering solutions extinguish this fire. Type B fire extinguisher. Class C: electrical. Use carbon dioxide to extinguish this fire. Type E fire extinguisher. Class D: combustible metal fires. A dry powder agents will extinguish this fire. Type D fire extinguisher. Class K: kitchen fires. 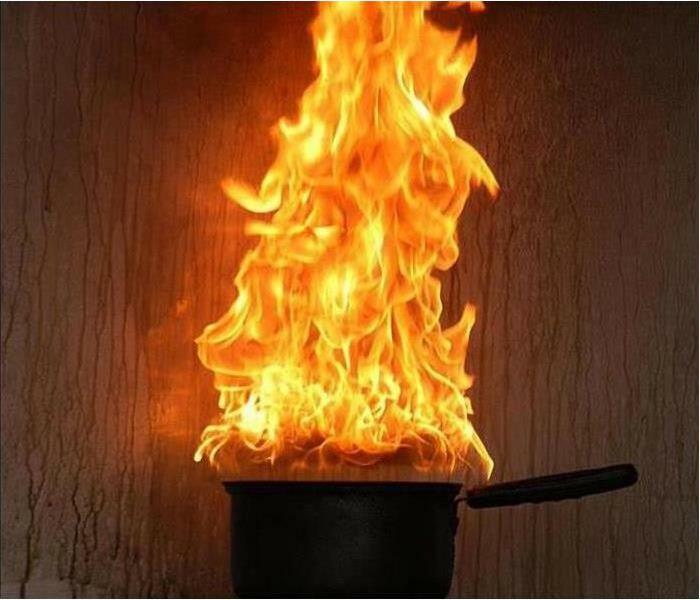 Small kitchen fires should be extinguished with powder or foam type extinguishers to prevent the splashing of hot oils and other materials. SERVPRO® of Puyallup/Sumner is strategically located. We're Faster To Any Size Disaster. Our main purpose is to help our residents get back on their feet as quickly as possible, after a fire or any natural disaster. We will provide the personal attention you deserve. We will keep you informed and comfortable throughout the fire damage repair process. Call us today at (253) 848-0800 so that we can help restore your home or business. Why Does the Break Room Refrigerator Smell Like Mold? Clean out food on a weekly basis. Make policies that disallow food staying in the refrigerator over the weekend. Encourage people to label and date all food items. These practices can help prevent that funky smell from developing in Puyallup, WA. Discouraging mold growth before it begins is the best way to avoid this problem in the first place. All kinds of food can begin to spoil within just a few days of being stored. Fresh fruits and vegetables are likely to spoil first. Green salads, fruit plates, and crudité platters should be promptly disposed of to prevent them from beginning to rot inside the refrigerator. Before long, that mold smell may start to develop. Cooked food can last a little longer, but not much. Its freshness begins to break down after two or three days. This can include leftover takeout as well as food prepared at home. Labeling food with a date and name can help keep people accountable for the food they store in the shared refrigerator. Fridge mold often begins with prepared food that has been stored too long. Condiments, peanut butter, and other similar items also eventually go bad. If no one is using these items, they should be removed from the fridge. If a name and date label is present on the condiment, check with the employee and encourage them to clean it out. This can help cut down clutter as well as bad smells. Professionals can help with disinfecting the fridge in the break room. Letting experienced cleaners assist with this process may help get rid of fridge mold and its unpleasant smell. 2/25/2019 - Why Does Sewer Backup Occur During Heavy Rains? 2/19/2019 - Why Does the Break Room Refrigerator Smell Like Mold?